During summer, most people like to go for boating or camping. As a result, the rise in temperature leads to an increased number of trailers on American highways. This also means that there are more trailer-related accidents around this time than any other season. In case the haulers are not loaded, set up or maintained properly, they can easily develop serious problems while on the road and make the driver lose control. Never, and we mean never, exceed the towing capacity of your vehicle. Just because you own a truck does not mean you can haul a boat. Make sure that the combined weight of your trailer and boat is equal to or less than your vehicle’s capacity. Otherwise, you will be putting both yourself and other people on the road at risk. Do not forget to ensure that your brakes as well as the lights on both your hauler and vehicle are functioning as they are supposed to. Although the chances of your brakes failing may be negligible, but there is always a possibility. Therefore, better be safe than sorry and inspect them properly. Having a suitable hitch is very important, and if your truck or van does not possess one by default, make sure you buy one. And remember, its rating should match the GVWR of your towing vehicle and the load. Bear in mind prior to embarking on your journey that you must stop after every 50 or 60 miles and perform a quick inspection of your entire towing set-up. This check must be done on everything - lights, tires, brakes and of course, the load. Your vehicle has to be in good condition. Make it ready for your camping or boating trip by running a maintenance check. Towing often puts additional stress on a vehicle and can give rise to various maintenance issues. Thus, whatever is it that you are planning - camping, boating, hiking, or even if you are a professional, make sure you follow these tips this summer to ensure your own safety as well as that of others. 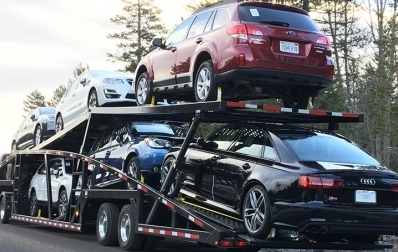 For more information about haulers and towing, stay connected to our blog.